WBGDRB Group D Apply Online; Group D Recruitment Board of West Bengal - WBGDRB will be accepting registration of application Candidates want to engage them self as a Group D employee must apply online for submission of application through the website wbgdrb.applythrunet.co.in. Online Application Start Date : Available Shortly. Last Date to Apply Online : Available Shortly. How to Apply for WBGDRB Online Application ? Your Personal Details, Communication Details, Educational Details with scanned Photo & Signature will be required at the time of online application. Not only that your need to pay Application/Examination fee to complete your Registration. After filling the form successfully you are require to take printout of the application form. To apply for Group D Post of WBGDRB only online form is enough, nothing to be sent to the concerned office. It is always advised that you should read official notice and know everything in details before filling the form online. By clicking here you will get detailed information about WBGDRB Group D Recruitment in West Bengal. Now lets start filling the wbgdrb online application form..
Save Form & Take Printout. Further Details Point to Point Description will be Discussed Here in this post, once the Application Process Starts. Till then you are requested to wait and check here again for updates. 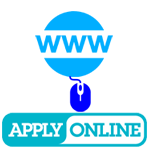 0 Comment to " WBGDRB Apply Online for 6000 Group D Post in West Bengal - wbgdrb.applythrunet.co.in "